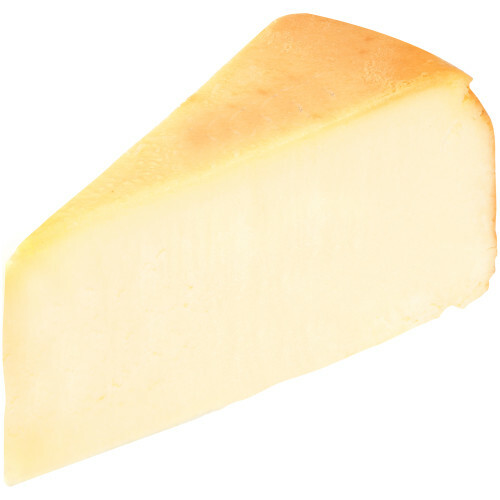 Classic, dry baked cheesecake with a homemade taste and appearance consumers prefer. Special touches, such as hand-greased baking pans and the use of only real butter ensure premium quality cheesecakes. Precut with paper dividers for quick and easy handling. 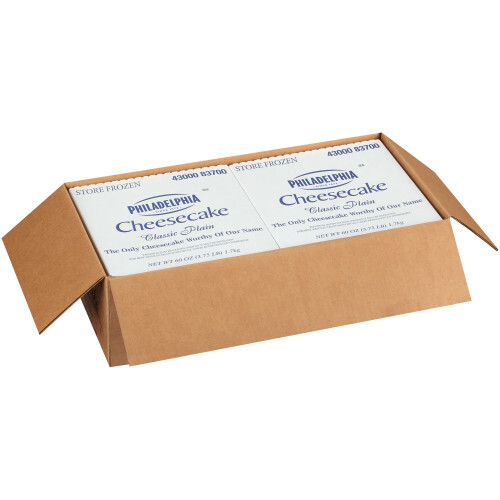 Eachcheesecake is individually wrapped for maximum freshness. PHILADELPHIA Cream Cheese is America's favorite brand of Cream Cheese. 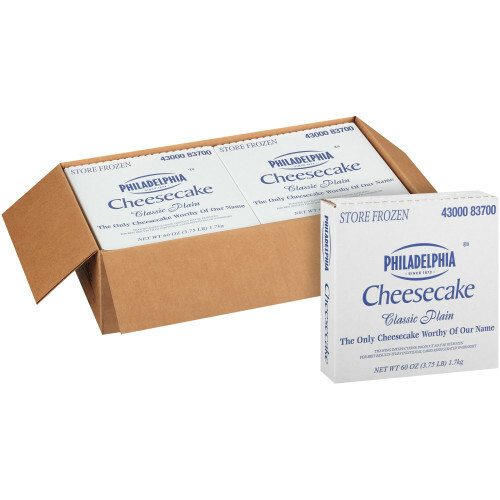 Prep: PHILADELPHIA Cheesecakes are ready-to-serve. 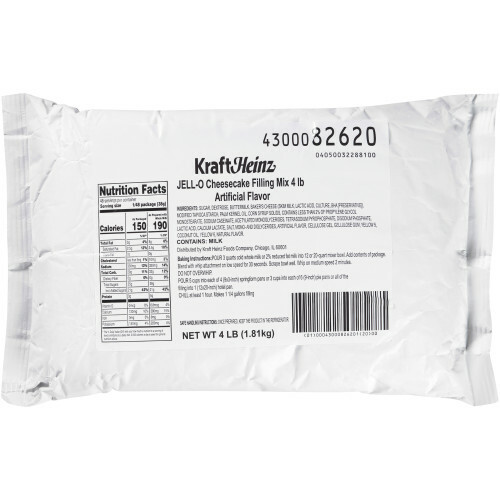 Ingredients: cream cheese blend (milk, cream cheese [pasteurized milk and cream, cheese culture], palm oil, cream, cheese culture, milkfat, salt, carob bean gum, guar gum, xanthan gum, mono- and diglycerides, lactic acid, apocarotenal [color]), sugar, eggs, less than 2% of: wheat flour, niacin, reduced iron, thiamine mononitrate, riboflavin, folic acid, cream, milk, nonfat milk, carrageenan, dextrose, water, vanilla bean extractives, lemon juice concentrate, lemon oil, soy lecithin. 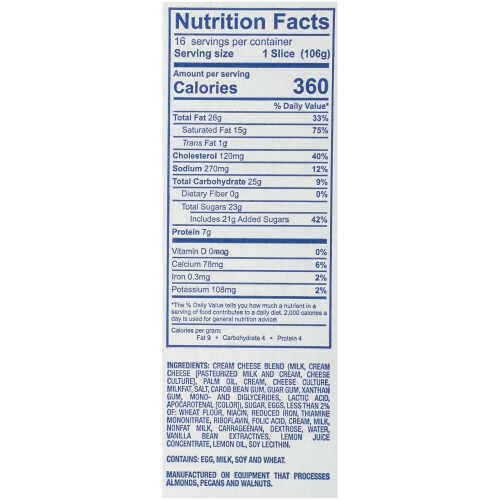 Allergens: contains: egg, milk, soy and wheat. 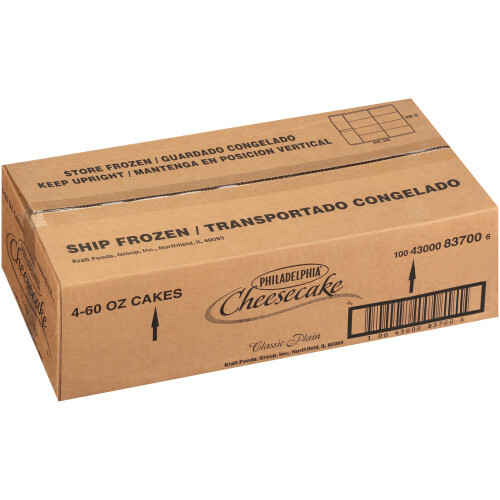 When you're looking to quickly prepare any pudding, cake, or milkshake, rely on JELL-O Cheesecake Filling Mix for a great taste consumers love. 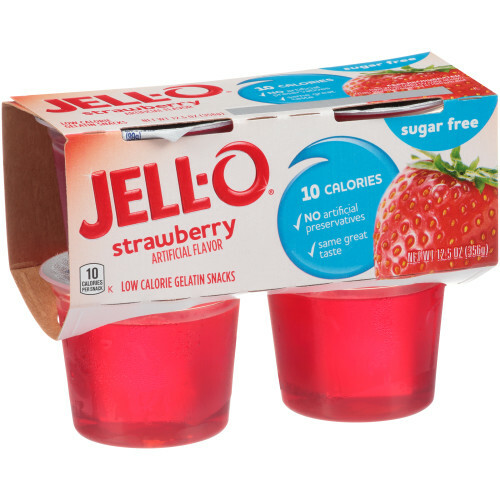 With no cooking needed, JELL-O couldn't be simpler to add to your kitchen. 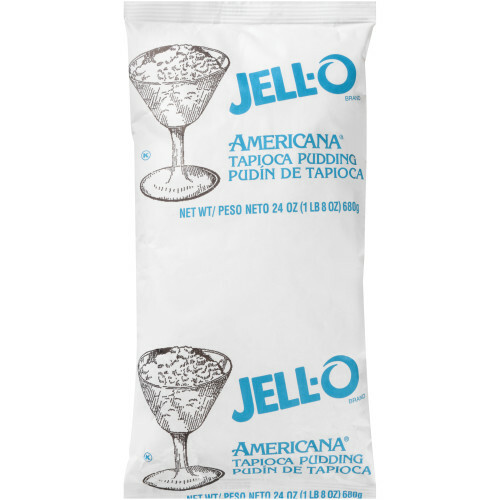 JELL-O Tapioca Pudding can be used in truffles, sauces, cream pies, and as a pudding layer in a cake or pie. JELL-O products have been around since 1845 promising quality you can taste. 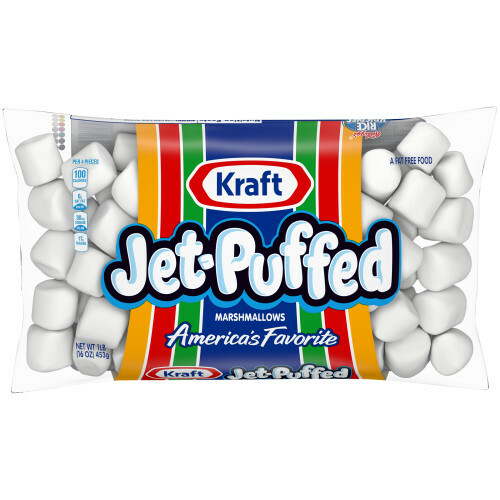 Jet-Puffed Regular Marshmallows, 16 oz. JELL-O is the perfect grab and go snack or dessert to suite busy lifestyles. At 10 calories, this snack is a smart choice for health-conscious consumers.